Mandir (Temple) open to the public daily, Celebrating Hindu festivals and events, Cultural activities, Marriage registration, Luncheon Club for the elderly, Services for the elderly, Teaching Gujarati language, Teaching Hinduism, Youth activities, Computer classes, Councillor surgery, Advice surgery on immigration, discrimination, health, Council Services, benefits, Translation service, Representing the Hindu and Indian Community at local and national level and many more. Shree Ambaji Mandir, Shree Bharatiya Mandal, Indian Association Tameside is a registered Charity number 1045607. It was established in 1964. In 1999 the New Ambaji Mandir and the Community Centre was build. We have excellent facilities to cater for the needs of the Hindu and the local community. 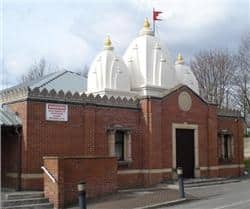 Over the years Shree Bharatiya Mandal has established its presence representing the Hindu and Indian community in the Tameside and Greater Manchester and celebrating Hindu Festivals and religious functions. We have been a major contributor to Hindu Council Of The North. We have over the years tirelessly promoted Hindu religion, culture and language. This Association is managed by volunteers to whom we are indebted. We urge and welcome everyone to spare some time to do SEWA (Voluntary work) for Hinduism and the Community. Please contact our Hon. General Secretary for further information. We would like to express hearty appreciation to all our members, contributors, donors and friends for help, support and encouragement. 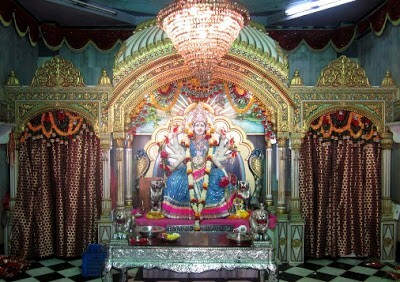 Jai Shree Krishna and Jai Ambemataji. Time: Morning: 7.30 a.m. - 8.30 a.m,Afternoon:12.00 p.m. - 1.00 p.m,Evening: 7.30 p.m. - 9.00 p.m.